Sartaj Singh, the Sikh hero of the new Netflix series “Sacred Games,” is a familiar figure in the landscape of hard-boiled fiction: the hapless honest cop whose integrity has cost him promotions, the respect of his crooked colleagues and the devotion of his wife. Because he works in Mumbai, his stalled career also means there’s no running water in his apartment. “Sacred Games,” adapted from Vikram Chandra’s 2006 novel, opens the latest front in Netflix’s international campaign: India, offering both a vast pool of potential subscribers and an entertainment industry with global appeal. An array of future Indian projects has been publicized, but for starters Netflix has chosen a production from the same genre as a previous success, the American-Colombian “Narcos.” A gangster saga with a history lesson is apparently the best algorithm for cross-cultural success. 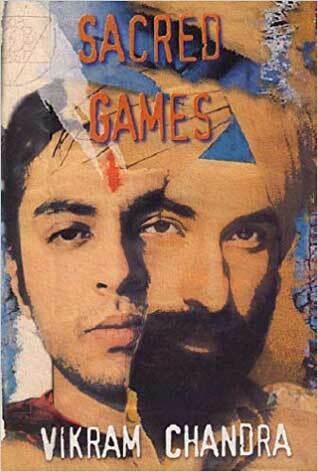 “Sacred Games” doesn’t feel generic, though. Energetic and entertaining, if not entirely satisfying (four of eight episodes were available for review), it toggles between stylized melodrama and loose-limbed satire — hewing, perhaps a little too closely, to the structure of Mr. Chandra’s sprawling novel. The series begins with a bang, as the Sardar (Saif Ali Khan) is contacted by an anonymous caller who sits, Wizard-of-Oz-like, before a bank of computer monitors, distorting his voice and masking his location. The caller turns out to be Gaitonde (Nawazuddin Siddiqui), a notorious Mumbai criminal who’s been missing for years and thought dead. He teases Sartaj with the information that he knew his father, another honest cop (or so the son thinks), and warns him of a dire but unspecified event that will strike Mumbai in 25 days. That sets the clock ticking on the story’s mystery plot, but it’s really a hook to get Sartaj — and us — to listen to Gaitonde’s story, an epic that combines his own rise as a gangster with a social and political history of India, and a critique of the country’s religious, caste and economic divides. The novel alternates chapters between Sartaj Singh’s present-day struggle to decipher Gaitonde’s message and Gaitonde’s narration of his criminal career, and the series does a similar dance, moving with reasonable fluidity between its two modes. The flashbacks play out in a mock-heroic style with tinges of magic realism — a leopard emerging from the forest at an opportune moment, a gang boss punishing his enemies in a particularly crushing manner. The contemporary scenes, meanwhile, go for low comedy and topical satire, as Sartaj (the rare Sikh cop on the Mumbai force) dodges his uniformly corrupt superiors. He has the help of an ambitious agent from the intelligence services (Radhika Apte, like Mr. Khan and Mr. Siddiqui an established Indian film star) and his own, much less ambitious sergeant Jitendra Joshi, whose abilities are far outpaced by his appetites. A subplot involving a theatrical agent who doubles as a pimp for victimized Bollywood actresses echoes several real-life Indian prostitution scandals. Replicating the constant juggle of styles and voices in “Sacred Games,” a feat stretched out over more than 900 pages in Mr. Chandra’s novel, is a major challenge on screen — despite its verve and visual inventiveness, the series feels muddled and a little wearying at times. (And a lot of cultural and historical references will go over the head of non-Indian viewers.) But as Gaitonde says, his story is like a scorpion — once it stings you, you’re done for. 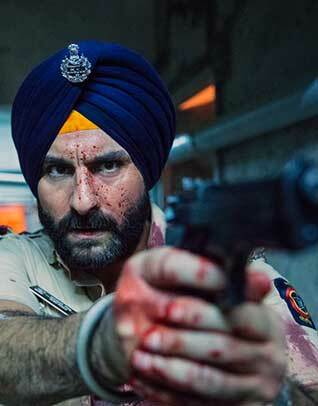 Comment on "Super-Cop Sartaj Singh is Netflix’ New International Star in “Sacred Games”"